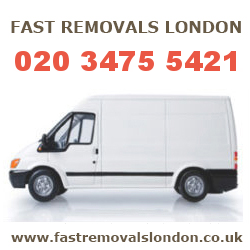 At Fast Removals London we are proud to be called experts in providing house removals services in London! Your safety relocation is considered as main target to be reached during the service. Very happy with the job your movers done, all the furniture was professionaly relocated. Haven’t expected that relocating a house could be so easy. Thanks. Home and office removals require care and professionalism. We are here to provide you with these. Fast Removals London is a high-quality provider of professional removals services. Our services are second to none and guarantee excellent completion of tasks. We are located in London, where we have been operating for many years and pleasing our customers with ease. Our mission is to give our clients a peace of mind and we do it by offering them the best removals services that are carried out by a team of experts. Even better, we offer low prices that are easy to afford. When moving to a new place, usually the most difficult task is to cope with the relocation of large and heavy objects, such as electrical appliances, furniture and others. However, ordering our professional removals services is the easiest and most effective way to cope with the problem. We are an experienced company, based in London. Our removals services are only £40 per hour! For many years we have been doing our best to satisfy our clients by providing them with trustworthy services of high standard. We believe that excellent quality should not be hard to get, therefore we offer low prices that everyone can afford. Call us now. For relocation services within UK please contact our customer support. I recommend using the services of Fast Removals London, they will save you lots of time and money. Fast Removals London are really professionals, they moved the house for just a single day! Haven’t expected that relocating an entire house could be so easy. Everything was on time. Thanks. West London: Soho W1; Mayfair, W1; Paddington, W2; Acton, W3; Chiswick, W4; Ealing, W5; Hammersmith, W6; Hanwell, W7; Kensington, W8; Maida Vale, W9; Notting Hill, W11; Shepherds Bush W12. South West London: Brixton SW2; Chelsea, SW3; Clapham, SW4; Earls Court, SW5; Fulham, SW6; Stockwell, SW9; Battersea, SW11; Balham, SW12; Barnes, SW13; Putney, SW15; Streatham, SW16; Tooting, SW17; Wandsworth, SW18; Southfields, SW18; Wimbledon, SW19. North London: Islington N1, Barnsbury N1, East Finchley N2, Finchley N3, Finsbury Park N4, Highbury N5, Highgate N6, Holloway N7, Hornsey N8, Crouch End N8, Muswell Hill N10, Friern Barnet N11, Palmers Green N13, Southgate N14, Stoke Newington N16, Tottenham N17, Whetstone N20, Winchmore Hill N21, Wood Green N22. Copyright � 2015 Fast Removals London.